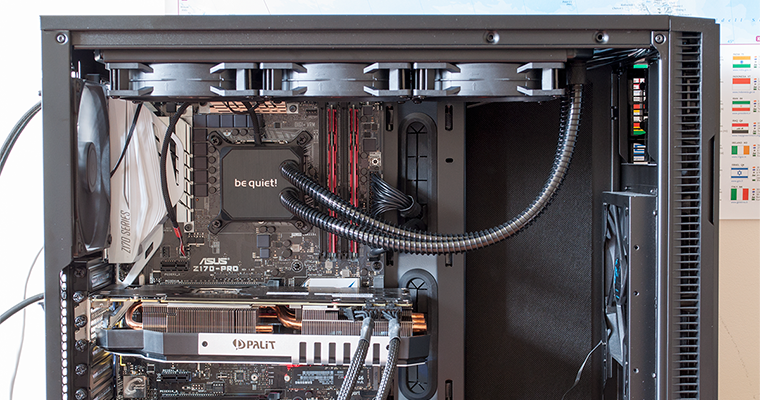 Having entered the liquid-cooling marketplace with a trio of competitive all-in-one solutions back in 2016, be quiet! has now updated its portfolio with a fourth option better suited to enthusiasts. Dubbed the Silent Loop 360mm, this is the largest liquid cooler to emerge from the German manufacturer's production line and promises top-notch performance for a £140 fee. First impressions are favourable, with be quiet! 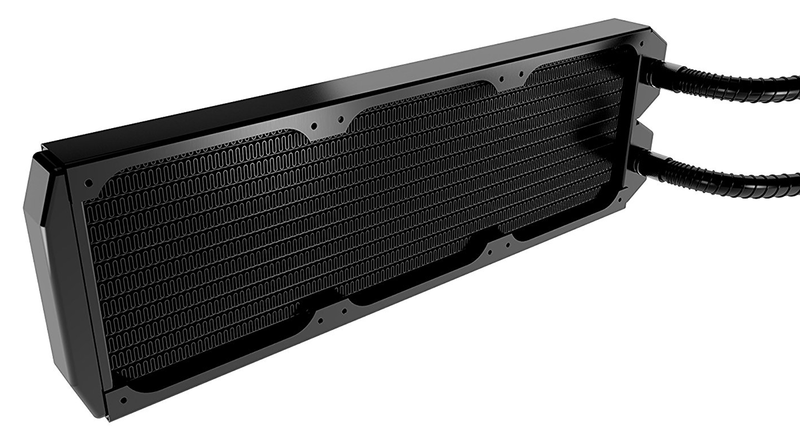 maintaining the Silent Loop design philosophy of good cooling with few frills. The all-black aesthetic will suit just about any build, there are no flash LEDs to worry about, no software to install, and as with other models in the range, the 360mm unit is very much a plug-and-play solution. We appreciate the simplicity, though of course there are two sides to this coin; those of you seeking a more eye-catching solution may prefer to look elsewhere. If you choose be quiet! on the basis that you know what you're going to get, then there are no nasty surprises. 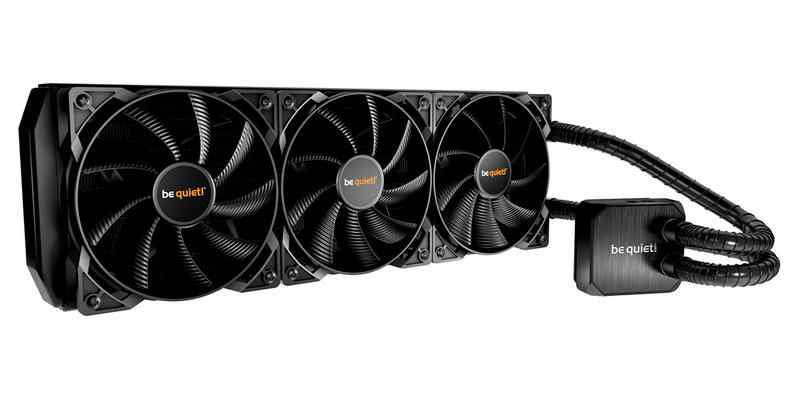 Build quality is good, with the 397mm x 124mm x 55mm full-copper radiator feeling solid throughout, and it connects to the familiar low-profile pump via flexible tubing measuring 39cm long. The only obvious caveat this time around is that the larger radiator reduces chassis compatibility - it just about squeezes into our Fractal Design Define R5 test platform, but only after we've removed the entire optical drive assembly. 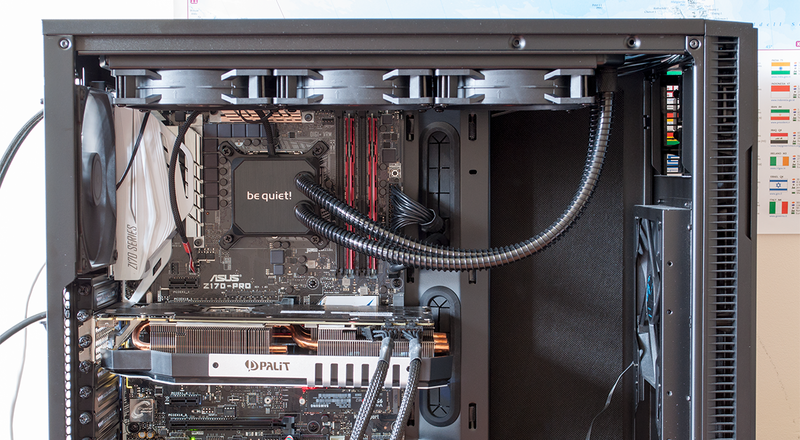 We prefer sleeved tubing for aesthetic reasons, but be quiet! favours function over form, hence the bend-protection reinforcement, and there's a refill port on the pump's top edge, so while you can't expand the loop, you can keep it topped-up with a suitable liquid. A nickel-coated contact plate offers a smooth finish with no visible imperfections, and as is the case with most modern pumps, be quiet! 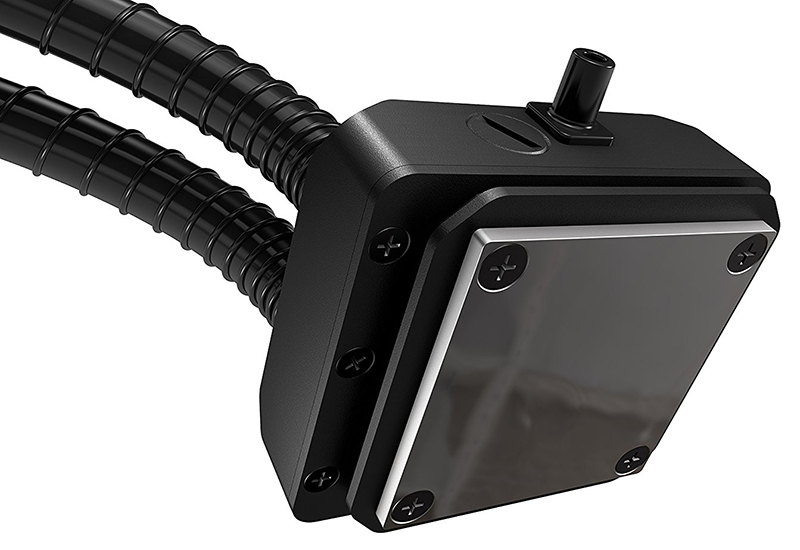 's "reverse flow" unit is noticeably quieter than earlier all-in-one solutions launched a few years back. You can barely hear it, but given that this is a be quiet! brand, we're surprised to find that the fans are a tad more audible than we'd like. The supplied trio are 120mm PWM blowers from the Pure Wings 2 stable, and though they are whisper-quiet when idle, you do hear them accelerate when the going gets tough. Fortunately, a three-way splitter is included, so you needn't worry about losing more than two headers (one for the pump, another for the fans). Unusually, it's in the installation and scope of delivery departments that be quiet! leaves something to be desired. 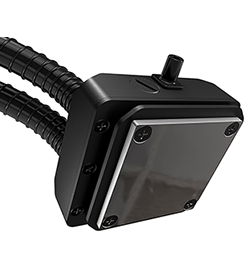 Getting the cooler installed isn't particularly difficult, but the Silent Loop employs a plastic backplate that has to be held in place while securing the pump; it works, however a metal backplate that clamps onto the board would be preferable. A good-sized tube of thermal paste is supplied as part of the bundle, but given the flurry of CPU product launches in recent months, not every platform is currently supported. All the latest Intel sockets are covered, but on the AMD side of the fence the Silent Loop coolers support AM2, AM3 and AM4, but not TR4, meaning Threadripper users aren't yet invited. be quiet! tells us that TR4 parts are "definitely incoming," but there's no firm date on availability, and if you're comparing against some of the established competitors, it's also worth noting that the Silent Loop is backed by a three-year warranty, whereas rival units tend to offer five-year cover as standard.